Parmila Chettri hails from a nice quaint village Sang Khola in East Sikkim. She is the eldest of a family of 5 and has spent most of her early childhood here until she moved to graduate from Sikkim Government College, Tadong. She had a typical rural upbringing which is slow, simple, steady but had big dreams like any other child. Not dreams to win a Beauty Pageant but to becom an Officer in Uniform whether it was IPS or the Defence and serve the nation. Her vivid memories of childhood were dancing around the lush green fields, play kitchen games, pluck flowers, swim in the rivers, climb trees and rocks and of course a bit of studies. She admits that life was all too simple but it was filled with happiness, laughter, fun and was totally satisfying. There was never a dull moment. Always fascinated about the fashion industry, Parmila’s interest in knowing about models, actors and the fashion industry gossip was always there. 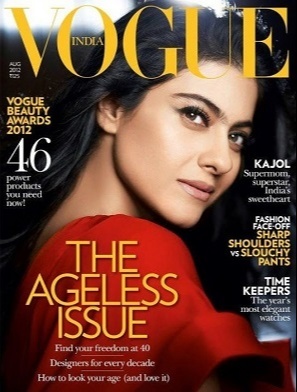 She had access to only a FEMINA magazine in her little town and she managed to grab one out of her pocket money. Admired and wondered how these girls had so much confidence, smartness, ability to converse etc, Parmila did have a faint aspiration to imagine herself in their shoes though !. Everyone admired her hourglass figure, her flawless skin, her natural stylish walk and predominantly her simplicity. She started being aware of what she had, and soon enough she got a few Modelling assignments in college and outside. She has worked hard to correct many things including on how she spoke English. She was quite well equipped to take part in the auditions and rightly so sailed through. She had won Miss Femina Sikkim in 2018. 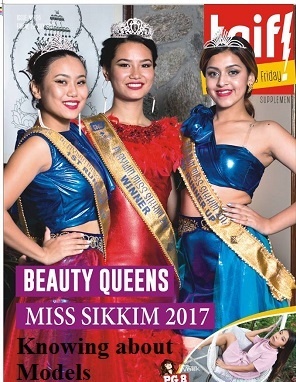 Miss Femina Northeast 2018 in Assam had representatives from Assam, Arunachal, Manipur, Meghalaya, Mizoram, Tripura, and Sikkim. Pramila was one of the finalists. She said it was a great honour and pride to represent her state Sikkim. Pramila is getting ready to represent the “Land of Mystiques” at the Miss Femina India 2018 later this year. “This crown has changed me from Nothing to Something” exclaimed Pramila. Tears of joy rolling down her cheeks she said she felt like a princess. All this doesn’t come easy as hours and hours of preparation has gone in and at the end of the day its all worth it...A few days of relaxing are over and now she is earnestly preparing for the big day. Turning into a celebrity in a split second by winning the crown. There are other thrilling moments too where she thoroughly enjoyed meeting other contestants and learning so much from them. Some of her favourite stars are Sushmita Sen and Priyanka Chopra. She can’t do without her phone and her comfortable shoes. She loves movies, TV shows and taking selfies. Pramila concludes – Focusing on the job at hand. Yes, Parmila is earnestly preparing for the Big Day Miss Femina India 2018 later this year and putting in all her efforts. Wants to become popular and well known to have a positive impact in the society. All young aspirants must dream big and work hard.